Just like most of the western world, North Korea celebrates New Year on January 1st of the Gregorian calendar. They ring in the New Year at midnight on December 31 much like we do. Their midnight, however, is on the newly adopted Pyongyang time, 30 minutes behind from the rest of the world. For much of its long history, Korea has celebrated New Year according to the Lunar calendar. It’s reported that they had a temporary halt in 1912 in celebrating Lunar New Year because it was considered to be a Chinese, rather than Korean holiday but that in 1989, they started to celebrate Lunar New Year again. This year, Lunar New Year falls on January 28. Our Long Ski Tour will be in Pyongyang during the celebrations. Oh yes, this is where it gets exciting. In North Korea, months and days are tracked according to the Gregorian calendar, but the year is tracked by the Juche calendar. Instead of marking year 1 according to the birth of Jesus Christ, North Korea starts its calendar from the birth of the founder and Eternal President of the country Kim Il Sung, who was born April 15, 1912 (on the Gregorian calendar). Therefore, the Juche New Year occurs on April 15 each year. It is called the “Day of the Sun” and is by far the largest holiday celebration of the year. This year will be Juche 105 (2017). 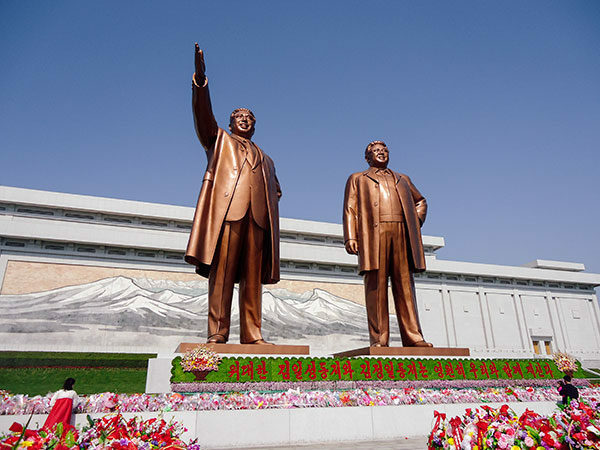 First thing first, the North Korean people start each of their multiple New Year by laying flowers at the bronze statues of late leaders Kim Il Sung and Kim Jong Il at Mansudae Grand Monuments. Then they pay their respects to their parents, elders and teachers. People who live in the cities will return to their hometowns to spend time with family. 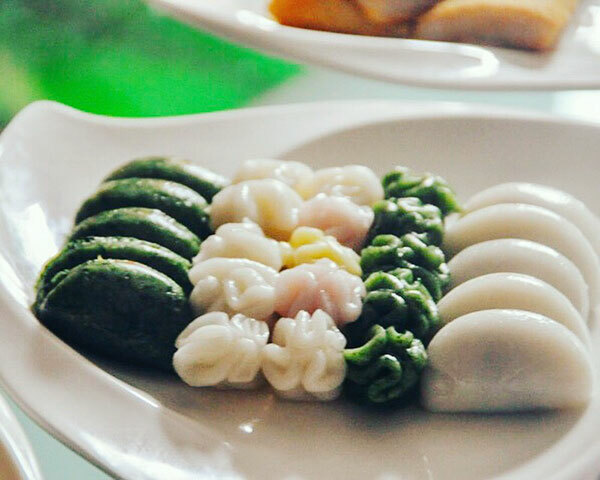 Often, when you visit a North Korean home on New Years, they will have prepared a special traditional type of rice cake called songpyeon. 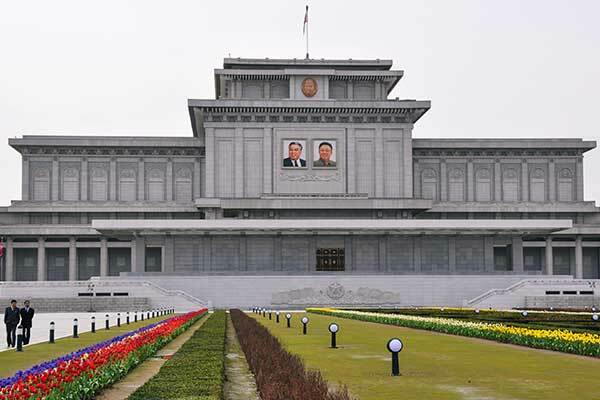 For members of the Worker’s Party, the military, or other invited members and tourists, you may be invited to visit the Kumsusan Palace of the Sun where the late leaders, Kim Il Sung and Kim Jong Il, lie in state in this old parliament building. 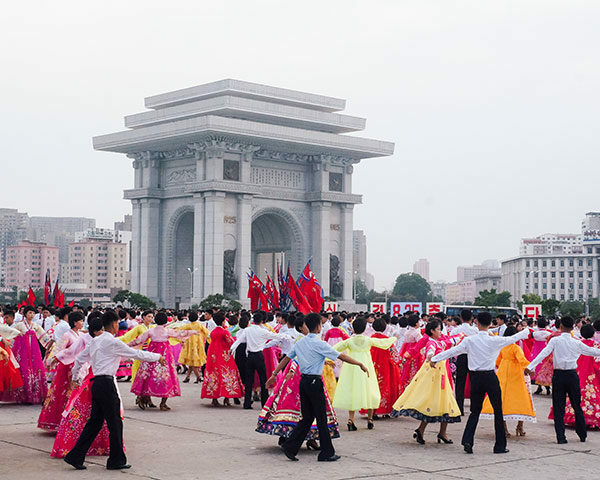 In the afternoon, thousands of locals take to the streets and public squares of Pyongyang. They take part in choreographed mass dances. Foreigners are invited to take part in the dancing. If you don’t know how, just jump in and someone will show you. 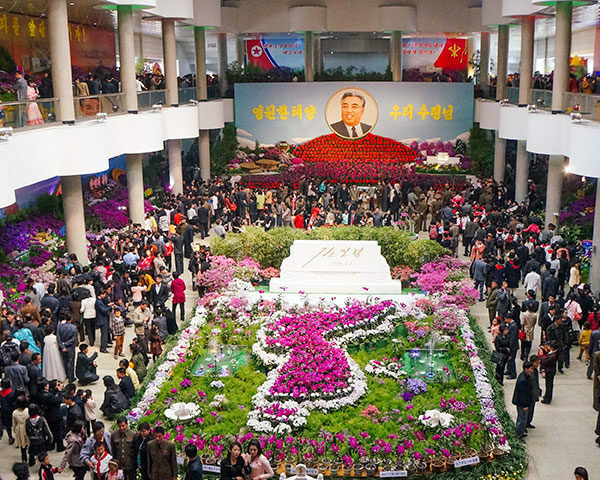 On Juche New Year, locals and foreigners visit the annual Kimsungilia Flower Exhibition. At the exhibition, you can see an impressive display of the Kimsungilia flower, an orchid named after the Eternal President Kim Il Sung.The Kimjongilia festival takes part during Kim Jong Il’s birthday anniversary. 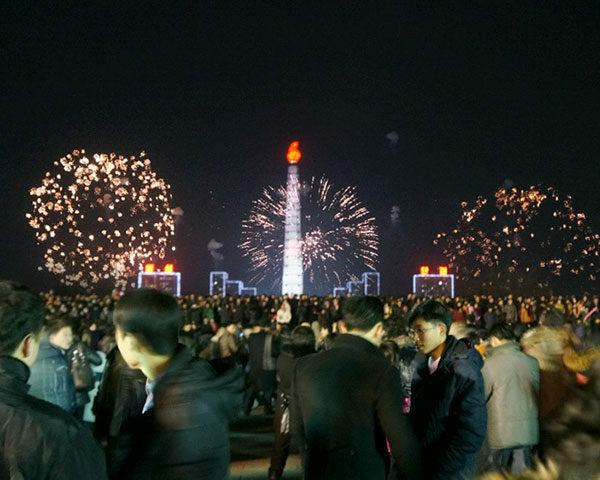 Finally, on December 31, as midnight approaches, thousands of North Koreans gather in Kim Il Sung Square to ring in the New Year. The Taedong Bell is rung and fireworks are shot over the river behind Juche Tower. Foreigners are invited. If you want to do something truly epic this New Year, join us for our “New Year’s in North Korea” tour. Be the first to leave a comment for North Koreans Celebrate New Years 3 times in a year, and so can you!